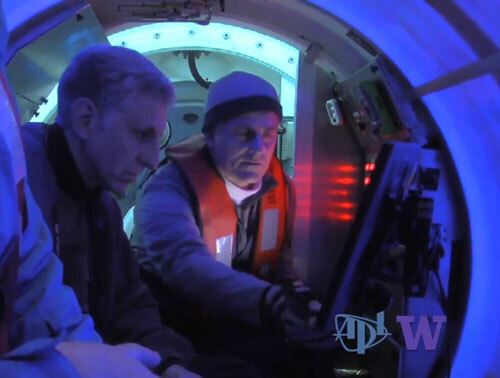 OceanGate founder, Stockton Rush, and UW-APL Principal Engineer Pete Brodsky aboard Cyclops 1 during test dive. When it comes to innovative partnerships and creative collaboration, the University of Washington’s Applied Physics Lab and OceanGate, Inc. represent a truly unique approach to working together in a highly effective and productive manner. Through the UW a public/private pilot project was established to help bring private enterprise in contact with UW/APL staff and students to leverage the academic research and skills sets of highly trained and dedicated professionals to aid in the innovative design, development and fabrication of advanced submersible design for manned underwater research, exploration and private commercial enterprise. 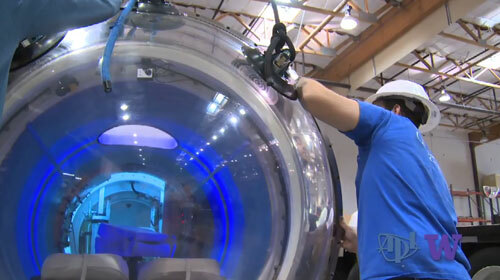 The acrylic viewing dome is mated to Cyclops 1 for the first time. By working in collaboration with UW’s Applied Physics Lab, OceanGate has been able to turn theoretical design ideas and emerging concepts into practical working models by engaging select team members from APL to evolve and refine ideas that can be developed into reliable and functional pieces of operating machinery. Many of the systems designs, advance propulsion and innovative hull design ideas were developed through a collaborative methodology whereby OceanGate and UW personnel created multiple “white-board” designs and extrapolated functional operating concepts by following end-user requirements for the next generation deep water manned submersible. 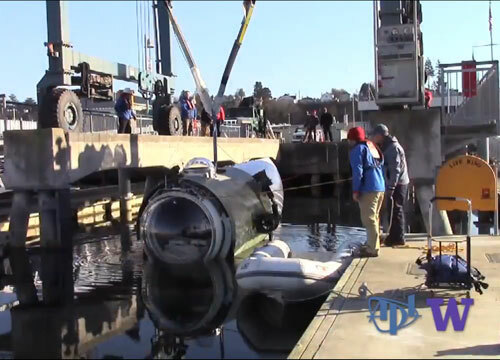 Cyclops 1 launched for her inaugural test dive. Since the inception of this collaborative program, the two entities have worked together for almost two years to develop and finalize design schematics and major operating components for OceanGate’s Cyclops 1 manned submersible. The end-result was the successful launch and testing of Cyclops 1 in November of 2014. Bringing academic expertise and private enterprise together is a real-world example of how the best and brightest tackle today’s most challenging problems, and create amazing new opportunities.